Spasmodic colic may be one of the most painful kinds of colic because of the powerful contractions in the bowels of the horse. Of intestinal colics, it is probably the most common. During a spasmodic attack of colic, the gut sounds are audible and can often be heard without a stethoscope. Typically, the horse will have sweaty patches on the neck. Spasmodic colic appears to affect nervous, high-strung horses more frequently than calmer horses. Episodes of spasmodic colic occur after a horse has been frightened, is anxious, or drinks cold water after a heavy workout.These conditions create a build up of intestinal gas that leads to the colic symptoms. The bowels become very noisy, with active, intermittent periods of gurgling and rushing sounds and periods of calmness when the horse stands quietly. Spasmodic colic may also develop with the introduction of new hay, grass, or grains in the diet. As with any type of colic, good horse management plays an important role. Working calmly and quietly with a horse that is known to frighten easily or become anxious, and avoiding letting the horse drink cold water immediately after a sweaty workout, will help prevent spasmodic colic. Introducing new feed gradually will help prevent those cases where the attacks relate to too much new or green feed. Most cases of spasmodic colic resolve themselves spontaneously in less than an hour. If the actions of the horse make it safe to walk the horse, the movement may help the horse expel the excess intestinal gas. 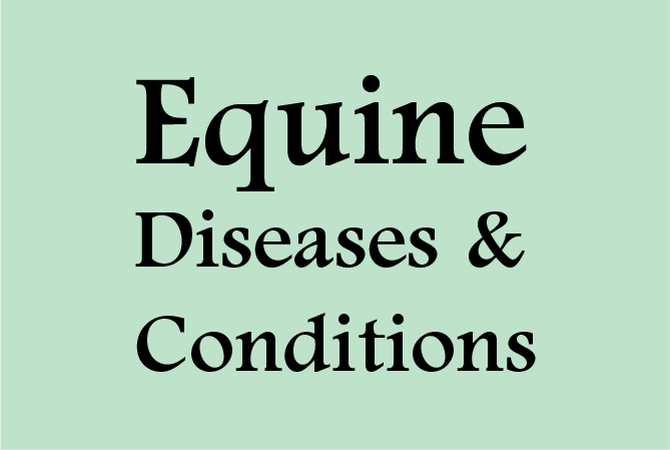 However, if the horse is in severe distress,a veterinarian should be consulted for a definite diagnosis. Treatment of spasmodic colic includes administration of the antispasmodic dipyrone and analgesics such as Banamine and xylazine. Mineral oil may be given to treat intestinal irritation. Your veterinarian may administer mineral oil using a nasogastric tube directly into the stomach. Without proper training, administration of any medication via nasograstric tube may accidently place the medication into the lungs, causing a severe and possibly deadly reaction.